Issues co-vocalist Michael Bohn is no longer a member of the band. “To our amazing fans and Hooligans around the world, it is with a heavy heart that we announce the departure of Michael Bohn,” the band shared in a statement. Bohn has been in the band since their start in 2012, performing as co-vocalist alongside Tyler Carter. The band officially broke the news in a statement on their site, and you can read it in-full below. To our amazing fans and Hooligans around the world, it is with a heavy heart that we announce the departure of Michael Bohn. We are all aware of how the internet rumor machine tends to spin it’s web, but the whole truth behind this amicable yet difficult decision to part is that our band is developing musically in a direction that put us at odds with each other creatively. Though sometimes beautiful in it's contrast, the bigger picture began to be artistically irreconcilable. Some of you may know that we as a band are always writing. The past year has been a lot of trial and error with new material, but the demos from these sessions are, in our opinion, undeniable in their potential, and are some of our favorite songs Issues have ever written. We found that many of the risks we wanted to take were in turn at risk of being “watered down” to make them compatible with everyone's tastes and abilities. The quality and sincerity of our art is paramount, so we had to do a lot of soul searching to come to a conclusion that was best for all of us, the entity of Issues, and the music. Just to make things absolutely clear: This was OUR decision as a band. No label or suit b-s. This is NOT a move to become a bubblegum pop act. We’re going to continue to do what we always have done, and write exactly what we want. We will continue to play older material and will delegate screaming parts live. Lastly, we have no current plans of adding core members to Issues. We love Michael and the experiences we shared in Issues will forever be irreplaceable. We wish him the absolute best with his future endeavors, and he will always have our undying support within his musical career. We believe he will continue to be a voice for the fans, and prosper in his next journey. Bohn has shared a statement as well, saying that he did not leave issues, but rather the band would be moving on without him. “As devastating as this news was and has been these past couple months, I am excited for what the future holds,” Bohn writes. He explains that he's teaming up with Kevin Hanson (ex Woe, Is Me) for a new project, with no plans on quitting music. Well, here I am typing up a statement I never thought I'd have to type. There's so much I could say but I'm gonna do my best to keep it short and to the point. First off, I want to make it clear that I did not leave ISSUES. It was brought to my attention that the band wanted to go in a different direction and that they would be moving on without me. As devastating as this news was and has been these past couple months, I am excited for what the future holds. I am teaming up with Kevin Hanson (ex Woe, Is Me) for my new project. We have been writing for a little over a month and I have no plans on quitting music. However, it's been rumored that Bohn has exited the band awhile back, removing any mention of the band from his social media bios. Plus, he had not been pictured in the band's studio updates as they work on their third full-length album. 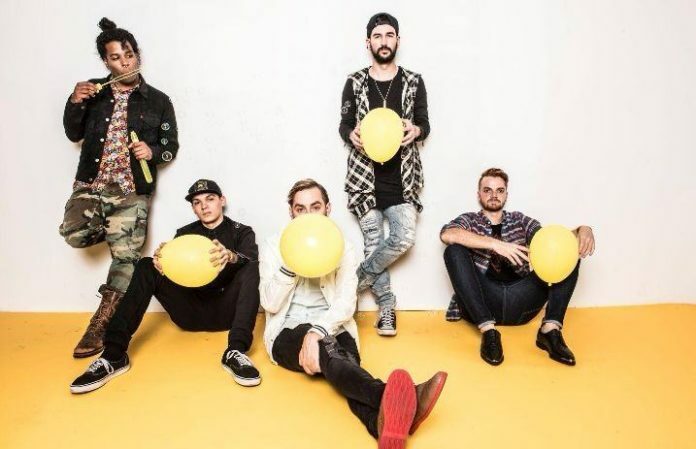 Issues have released two full-length studio albums with Bohn, their 2014 self-titled album and 2016's Headspace.